Former History and AP Psychology teacher; BA Political Science with teaching license in Social Studies. Completing MSEd Educational Leadership. 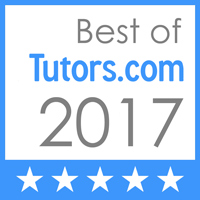 Able to tutor all regular, honors and AP Social Studies courses including Psychology, Philosophy, Sociology, Government, US History, World History, European History and Human Geography; K-12 English, Reading and Writing; K-8 Science, Earth Science and Oceanography; K-8 Math, Pre-Algebra, Algebra I, Geometry, and Algebra II. High-stakes testing: ACT, PSAT, SAT, Praxis I. Paper Editing: MLA, APA and Turabian format College History and Political Science, Algebra, English, Literature. I’ve been tutoring Math, History and English since 1996. Tutoring, researching and editing is how I supported myself while earning my teaching degree. I taught US History, World History I and II, VA/US Government, AP Psychology and Law and Economics. I trained with AP exams and SAT/ACT test preparation since 2000. I love working with people and helping to shed a little light on subjects they may not understand.